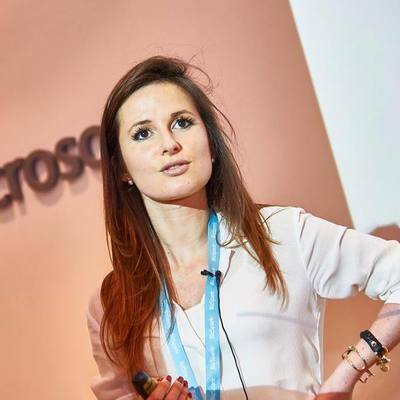 Karina has worked with over 100 startups. She was the Director of Techstars Anywhere accelerator program, a mostly virtual accelerator that uses technology, the Techstars global mentor network and some travel to invest and work with companies based anywhere. In 2016 Karina architected Techstars Anywhere after she led Techstars Startup Next as Global Director, overseeing over 40 pre-accelerator programs worldwide. Prior to that Karina co-founded and served as COO of Fábrica de Startups in Lisbon where she ran a number national and international accelerator programs. At the age of 22 Karina founded Glutone, a waste compactor solution for fast food chains. Karina has also worked in category management and at Kellogg's and in marketing at LG and others. She was distinguished as a member of Young Future Leaders of Economy by the President of Portugal and serves as a portfolio Advisor to Indico Capital Partners in Lisbon. Karina has lived and worked in 4 continents and is now based in New York City. When not spending time with founders, you’ll find her skiing or learning about human space exploration.